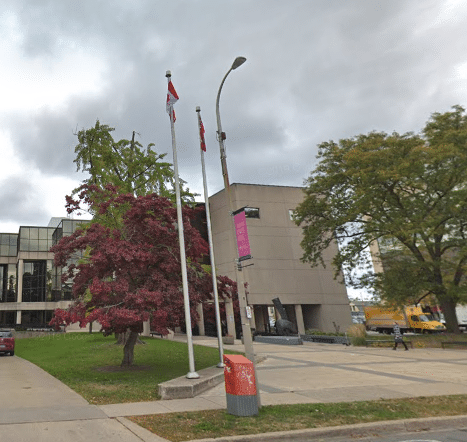 SORE’s lawyers appeared in court on the morning of April 3 in St Catharines on Benny Marotta’s attempt to overturn Council’s decision last August to designate the Rand Estate under the Heritage Act. We acknowledge with thanks the many dozens of NOTL residents who answered our call to arms on short notice and packed the courtroom. SORE asked the court for permission to intervene in that case. Benny Marotta’s lawyers vigorously opposed SORE’s request on many grounds. One of those grounds was that SORE does not represent anyone and has no supporters. That argument undoubtedly fell flat given the number of NOTL residents in the court. We are cautiously optimistic and await the judge’s decision. We are left to wonder why Mr. Marotta is so concerned about SORE that he is prepared to spend thousands of dollars trying to prevent us from having a seat at the table. In our ongoing game of “whack a mole” with Benny Marotta, we are now focused on the next legal challenge he has initiated – this one to the Local Planning Appeal Tribunal (LPAT). Our supporters will recall that rather than letting your elected Council make a decision on his convention centre/hotel proposal, Mr. Marotta took his application directly to LPAT. LPAT has now set a prehearing on May 9 at the Community Centre. We write concerning this matter and the case management conference that we understand is set for May 9, 2019, in Niagara on the Lake. We reside in Niagara on the Lake and have been following this proposal with great concern. Thank you as always for your continued support and assistance. We could not be doing this without you.